When you have sun spots that freckle your face, arms, and chest, it can make you feel self-conscious about showing skin. At New Day Aesthetic Medicine, Eric Jorgenson, ND, understands your feelings and offers a solution at his Hood River, Oregon, office. From professional-grade skin care products to cutting-edge laser treatments, Dr. Jorgenson and his team can meet your skin care needs. To learn more about what you can do about sun spots or to schedule your initial consultation, go online or call the office today. Sun spots result in uneven pigmentation and are commonly seen on the skin that’s most often exposed to the sun, like your face, arms, and shoulders. Although they’re often associated with UV exposure, sun spots also develop with age and are often called age spots, liver spots, or solar lentigines. Although concern over these spots can arise, they’re harmless and if they’re truly sun spots, non-cancerous. Sun spots are a form of hyperpigmentation that results from overactive pigment (melanin) production by certain skin cells. This over-production is often caused by UV exposure. 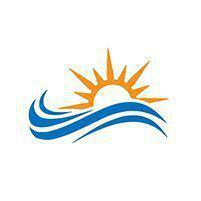 Inflammation and other environmental toxins can also lead to sun spots. You can prevent the development of sun spots by protecting your skin by using sunscreen, wearing wide brim hats, and opting for long-sleeve shirts. How do you treat sun spots? Radiance HydraFacialⓇ: Designed to be gentle, yet effective, these facials cleanse, exfoliate, and treat your pigmentation issues; for the best results, schedule them monthly. PCA SkinⓇ: These professional-grade skin peels bring you a deep exfoliation that draws new skin to the surface; safe and effective, these peels give immediate results. Intense pulsed light (IPL) therapy: This noninvasive light therapy destroys the cells that produce excessive pigment; multiple treatments are necessary to get optimal results. Along with these treatments, Dr. Jorgenson educates his patients about proper skin care and explains how you can protect your skin, preventing further sun damage. He discusses elements of skincare that include sun protection, cleansing the skin, and keeping it moisturized. 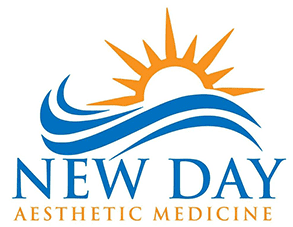 If you want to erase sun damage from your skin, now’s the time to call New Day Aesthetic Medicine. You can even go online to book your initial consultation.